A group of immigrants are smuggled inside a shipping container with their final destination being South Korea. Inside the container, one of the immigrants is a carrier for a lethal and highly contagious virus. Byung-Ki (Lee Hee-Joon) and Byoung-Woo (Lee Sang-Yeob) drive to the shipping container to release the immigrants. They soon discover that all of the immigrants are dead, except for one man. 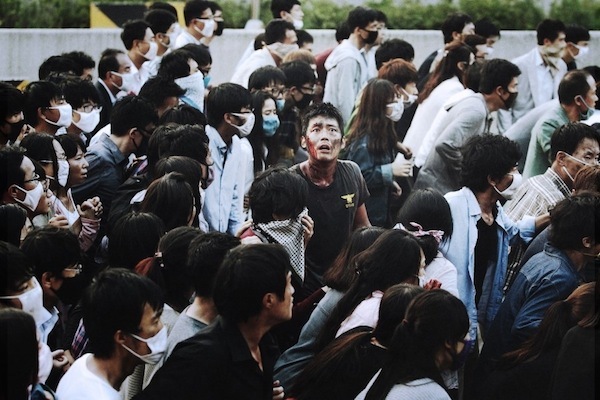 Soon, thousands of people become infected every hour by the deadly virus, which kills within 36 hours of infection. 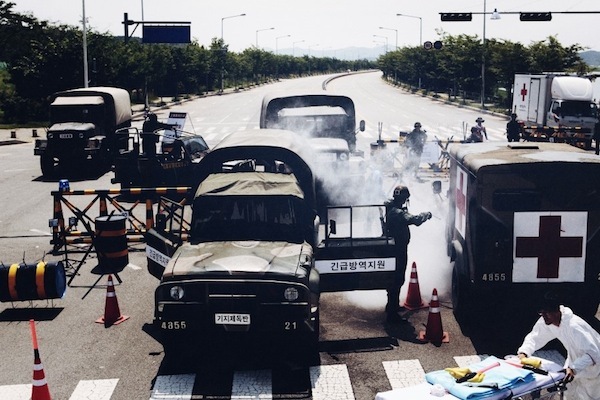 The entire suburb of Bundang is quarantined by the government in a desperate attempt to stop the virus from spreading further. 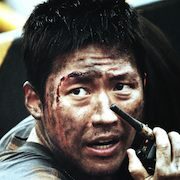 Firefighter Kang Ji-Koo (Jang Hyuk) is one of those quarantined. 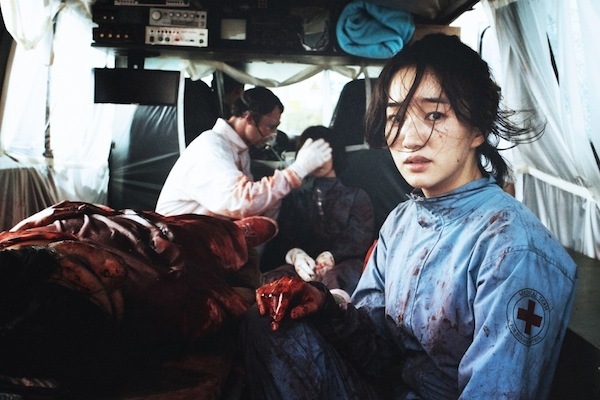 Dr. Kim In-Hae (Soo-Ae) is one of the first responders to the outbreak of the virus. 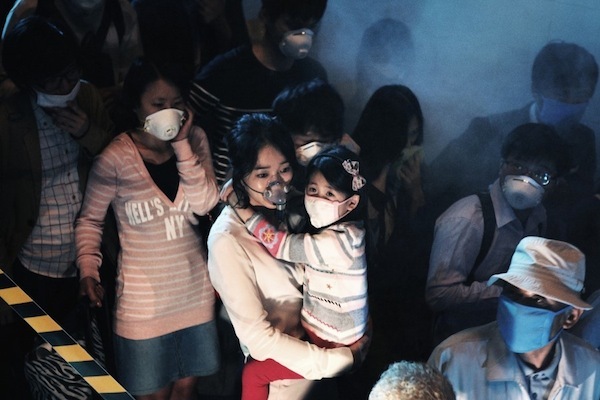 The outbreak becomes even more personal once she suspects her own daughter (Park Min-Ha) is infected by the virus. 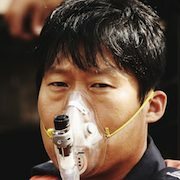 Firefighter Kang Ji-Koo and Dr. Kim In-Hae frantically work together in a race against time to find a cure. Filming began May 11, 2012 and finished October 11, 2012. KokoroTyu Nov 14 2018 9:19 am Love this movie! H May 12 2018 6:59 am That doctor better marry that Ji Gu dude. He risked his life for her AND her daughter. Park Min Ha is amazing as always. Carebears Mar 22 2017 4:28 pm anyone can translate the last sentence that appears on screen at the end? Jonella Oct 08 2016 10:27 am @Franklin yes, he's from the Philippines and his name is Lester Avan Andrada. He really did a great job in his role. This movie is awesome. I like this kind of movie. All actors did a superb job. Thumbs up! BigBoss Oct 08 2016 5:45 am What is the name of the virus and the symptoms of it? Amber Sep 25 2016 8:44 am This movie is awesome!! All the staff,production and characters did really a great job! You can really see an uprising best young actress ( Park Min Ha) from this movie. I feel like I was in the whole scene as I watched this movie, my heart was franctically beating fast together with the panic acting of the characters. Congratulations to all the " the flu" team! Franklin Sep 17 2016 12:52 am Its so nice movie. I just want to know if Moon sai (the only person who survived) is a Filipino? What his true name? kim Aug 08 2016 11:50 am gosh I feel like I was the only one that bawled my eyes out near the end...the little girl is an amazing actress. Tugged my heartstrings so much. Jjkrpp6 Jul 25 2016 1:34 am Awesome...power house for sure! From the beginning to the very end. Highly recommend to watch. Great acting Jang Hyuk and all cast members. Migthy Thor Jul 13 2016 7:28 am Super-duper WOW !!! Indeed this is a first world class movie! Such a great production! 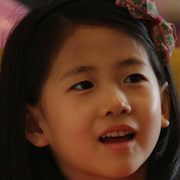 Jang Hyuk, Soo-Ae, Yu Hae-Jin, Ma Dong-Seok, Lee Hee-Joon were truly AWESOME and that little girl Park Min-Ha is not just cute but very brilliant !!! CONGRATULATIONS to the entire production, crew, staff, personnel and cast of this FANTASTIC Movie! A MUST SEE MOVIE !!! leigh Jul 04 2016 6:01 pm I loved this movie. I especially adored the child. what a good little actress. it was very exciting and intense to watch. all the actors were awesome. anon Jun 30 2016 3:57 pm @rolmaths Ohh yeah I've watched both Blind and Psychometry(The Gifted Hands)!!! Loved them both!!! Katrina Jan 14 2016 11:17 pm best movie ever I love the cast and everything!!!!!!!! Aj Apr 28 2015 11:04 pm Very enjoyable with the adorable child and experienced leads to carry the film. Jang Huyk's character's devotion to the mom and daughter is sweet and moving. Get out the popcorn and enjoy. Josephine Apr 13 2015 3:54 am A mostly implausible and sometimes incomprehensible plot and a countless number of scenes where you ask yourself “why would anyone DO that??”! Despite having the talented main cast, this was a huge disappointing apocalyptic pandemic movie. Dev Dec 29 2014 10:25 am This is a perfect movie! The movie is so amazing ! william keeny May 08 2014 7:17 pm I thought the movie was fantastic. Everyone did a great job.The little girl is adorable.. I don't care what anyone says. It was the best movie I have ever watched. I have only watched it about 15 times and about to watch it again. Well done. And needless to say I never watch a movie more then once or twice. I Loved it. seasidecarnival Apr 16 2014 4:44 am this was a good movie! But it has parts where you'll be like: "WHY ARE THEY SO STUPID?!" at the characters. Lol. But I recommend this~ go and try. You might like it as well. 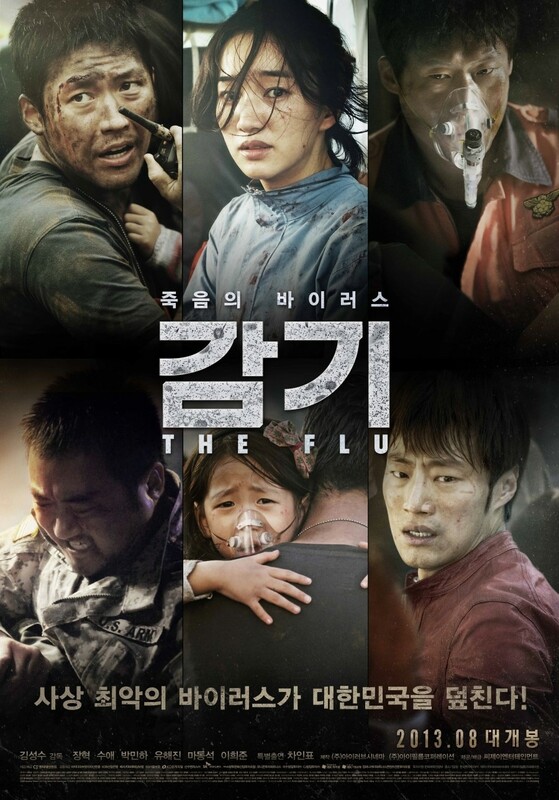 CICI Feb 17 2014 8:40 pm I really liked the Kmovie "The Flu". I was happy to see Jang Hyuk have a lead role and as usual he was excellent. I thought the movie was professionally done and believable and the little girl was adorable. 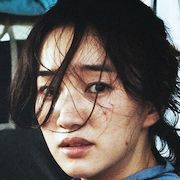 Soo Ae is a favorite of mine too. Although the ending was a little abrupt and I would've liked to see more, I was glad I found it. site Nov 13 2013 9:18 pm According to numerous individuals who have reviewed Host - Gator, ample disk room and bandwidth are generally certain. There are a number of affordable plans to opt for and so the only thing that you need to do is sign up for them today. Many popular hosting sites offer competitive packages to bring in the most consumers; however some packages are tailored for specific group of people. Jessica Nov 02 2013 10:54 pm This movie is just plain horrible. It just doesn't make sense and it shows how the world is so stupid on how to figure out a problem when they could have talked it over without having to get many people killed. I understand Soo Ae was sad about having to give up her daughter but come on! Her daughter had the sickness and since the daughter was with all the "safe" people, she could have gotten everyone catch the flu. I don't get what all the hype is about this movie. It doesn't make any sense. Ki Aug 15 2013 7:51 am This is one of those movies where two people walk out of the theater and one person could say "great movie!" and the other person could say "horrible piece of crap!" I could agree with both sides as well. "horrible movie" because ... the movie gives up making sense after awhile and for any non-Koreans you can't help to notice that movie is quite xenophobic. Also it has that "D-War" like nationalism embedded into the film to garner cheap sympathy. "great movie!" because ... as summer movie goes, you want something exciting and the movie does provide excitement and suspense in waves after waves. 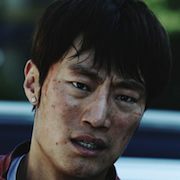 In addition, Jang-Hyuk and Soo-Ae performed brilliantly to draw you into their chaotic world. Mimi May 09 2013 2:29 pm Soo-Ae!!!!! You're so amazing!!!! 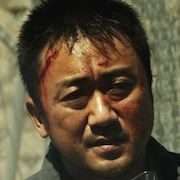 Sunny Apr 18 2012 1:59 am Looking forward to watch the movie. Amran Feb 21 2012 6:11 am Jang Hyukkkkkkkkkkkkkkkkkkkkkkkkkkkkk!! !